The Democrat-controlled House Natural Resources Committee will not remove “so help you God” from the oath taken, reversing course on a proposed rules draft that would have done so. Fox News reported earlier this week on a draft of proposed rules for the Democrat-controlled committee that showed the phrase “so help you God” being deleted from the oath. However, on Wednesday both Democrat and Republican members of the House committee agreed to keep the phrase in the oath. However, Democrat Representative Jared Huffman of California argued against the inclusion of God in the oath, saying that it violated the separation of church and state. “All of these trappings of religion and God in these oaths certainly have not kept an awful lot of people from lying under oath,” stated Rep. Huffman, as reported by EWTN. When news broke about the proposed removal of God from the oath, many, including Representative Liz Cheney of Wisconsin, a Republican committee member, denounced it. 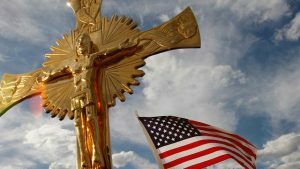 “In a nation whose motto is ‘In God We Trust,’ it is a sad commentary on the mindset of House Democratic leadership that removing God would even be considered,” stated Perkins. Many federal oaths reference God. 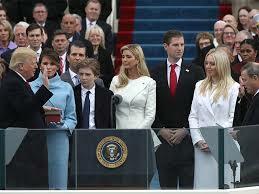 However, the oath of office for the president of the United States does not include the phrase; instead, figures taking the oath have added it by tradition.